Finally a premium quality disposable nitrile glove...WITHOUT the premium price!! A textured surface promises secure gripping capabilities. SemperForce black nitrile gloves are ideal for automotive, industrial, tattoo, and many other applications. Try a box Today! You'll never go back to paying more! Highest tensile strength** (21 mpa) of any nitrile glove we've ever offered! 100 gloves by weight per box. ** Tensile strength measures the force required to pull something such as a glove, rope, wire, or a structural beam to the point where it breaks, and is the ultimate measurement of a premium quality glove. These are some of the best nitrile gloves I have ever gotten. The fit is great, they don't feel 'sticky' and are easy to get off when done. We have been using these for years. Best value around on this type of glove. hands down the best company in this field...period. I work in corrections and wish we had these gloves for the durability the provide. Great product, above all the rest! Used the gloves for paint stripping and automotive repair. The gloves add better protiction than any blue nitride glove I have used. The gloves will tear if picked but are pretty strong. These gloves will dereiorate when using chemical strippers and solvents but not as quickly so double gloving will prevent some leakage. I really like these gloves for what I use them for. Great gloves! I can wear them for hours without a tear. I HATE spending more than i have to...especially for something I use then throw away. These gloves have great elasticity, are softer too so you don't get that finger/hand fatigue. Perfect price too! Half that of the more well known brands. Thanks KBS! I have used black gloves before that costs twice as much. I recently found these and they are as good and 1/2 the price. Can't beat that! 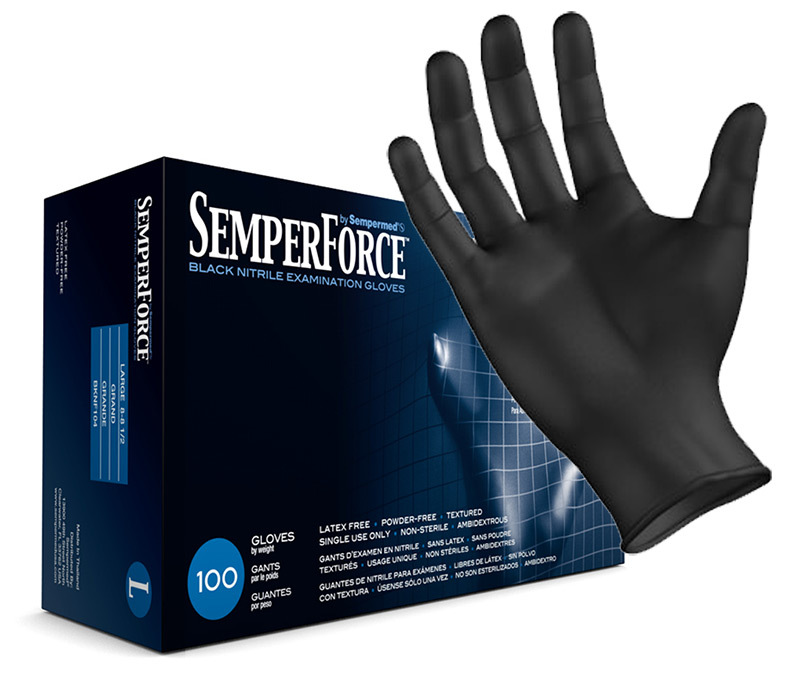 Q: What is the different between the SemperForce Black Nitrile Gloves and the Black Lightning, other than price? Are the Black Lightnings more durable? A: The SemperForce have a greater tensile strength (less resistant to ripping) and are slightly thinner than the Black Lightning gloves. Quality brushes at a disposable price. 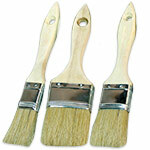 Made with natural bristles for superior paint pick up and a smooth uniform finish. These simple to use Flexible Paint Spouts eliminate messy drips and keep grooves clean for resealing cans. One size fits all gallon, quart, and pint cans, and are reusable too! Order enough for all your painting needs.